Back in January, we travelled to Punta Del Este in Uruguay for Luminocity - a surprise event with Fedde le Grand in the grounds of a millionaire’s mansion. The sun shined hard during the day and the night was warm and alive. Tonight’s Luminocity - on the outskirts of Santiago in Chile - is the winter cousin of that event. And while the weather and location are miles apart, the events are unified by their high-energy atmosphere, and the drink of choice, provided by the event promoters - Miller Genuine Draft. When you don’t have the outdoor summer heat, you need other ways to make the party rock. And the Luminocity crew have that covered - and some! We walk past the fighter jets towards the entrance to the hanger, holding on to loose items of clothing as the gust from the helicopter’s rotaries swirls around us. We hand over our Miller Luminocity ‘Night Flight’ boarding passes (the only advance clue of the night’s theme) to the air hostesses who guard the entrance, beneath a glowing gold Luminocity sign, and we are rushed through a short ￼tunnel into the venue. By 11pm the hangar is packed and the beautiful people of Santiago shake in unison to bass-heavy tech house cuts, alongside dancers dressed as pilots and air hostesses, who smile and gyrate on the sidelines. 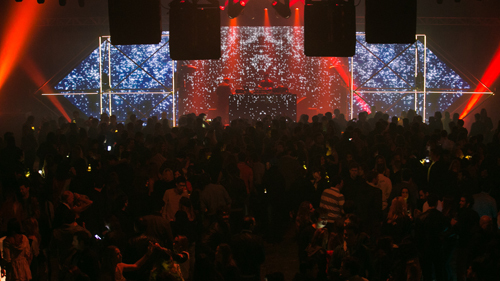 When the music stops and the elevated stage is cleared, the buzz in the venue is electric. The people below whoop and cheer as six of the air hostesses make their way onto the platform and perform a mock pre-flight routine to song and dance, advising people how to enjoy the ‘flight’ ahead. Back inside, the preflight show concludes and the venue is plunged into darkness. Seconds later, the unmistakable sound of the helicopter’s rotaries fill the air as the aircraft lands on the tarmac ￼outside the hanger. Two runway marshals enter the venue waving illuminated wands to part the crowd. Then Felix - looking remarkably happy to be back on terra firma - strides through the venue behind the marshals. All eyes follow him towards the back of the venue and where a huge stage, previously hidden by darkness appears. The stage is one of the most impressive we have seen in a venue of this size, angular golden bars penetrate the darkness to create a hypnotic sense of depth when combined with the vast LED screen that lives behind them. The crowd - now realising that they have not been watching the ‘real’ stage - rush to the front and Felix is given a typical Latin American reception. Hands punch the sky and cheers ring out as he segues between rolling tech house grooves, squelchy acid house jams and disco classics. As Felix’s set climaxes, the atmosphere reaches fever pitch and the Chicago legend makes way for Sasha Lopez. The Bulgarian trio, who are formed of (Lopez - the DJ) plus Ale Blake and Broono make themselves known right away, taking things up a notch with a blend of uplifting house cuts and electro drops as Ale and Broono (the vocalists) prowl the stunning stage interacting with the intensely passionate Luminocity crowd. Night turns to day all to quickly and before we know it we are rushing to the airport to make an early flight. 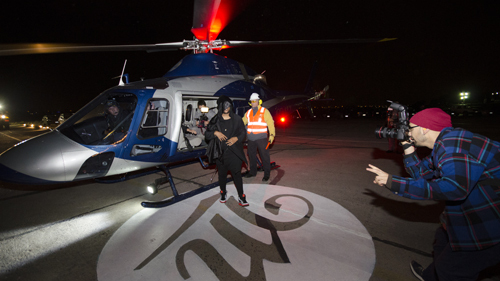 We bump into Felix Da Housecat in the terminal and despite some sleep deprivation, the larger-than-life DJ is in great spirits; opining on the incredible production and energy at last night’s event. Santiago’s hottest ticket certainly didn’t disappoint. 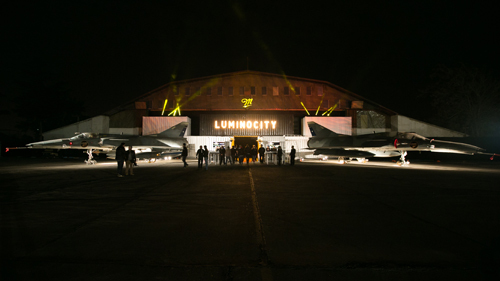 From the military setting and consistent element of surprise through to the world-class production and ice cold beer, Luminocity once again proves to be one of Latin America’s most exciting and unique events. TOP 100 CLUBS 2017 – WHO ARE THE MAIN CONTENDERS? MILLER SOUNDCLASH FINALISTS: WHERE ARE THEY NOW?